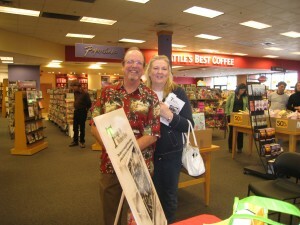 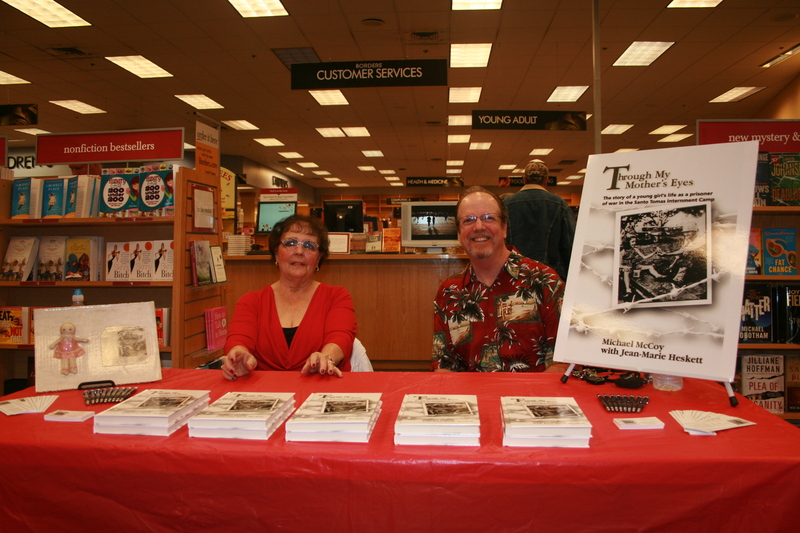 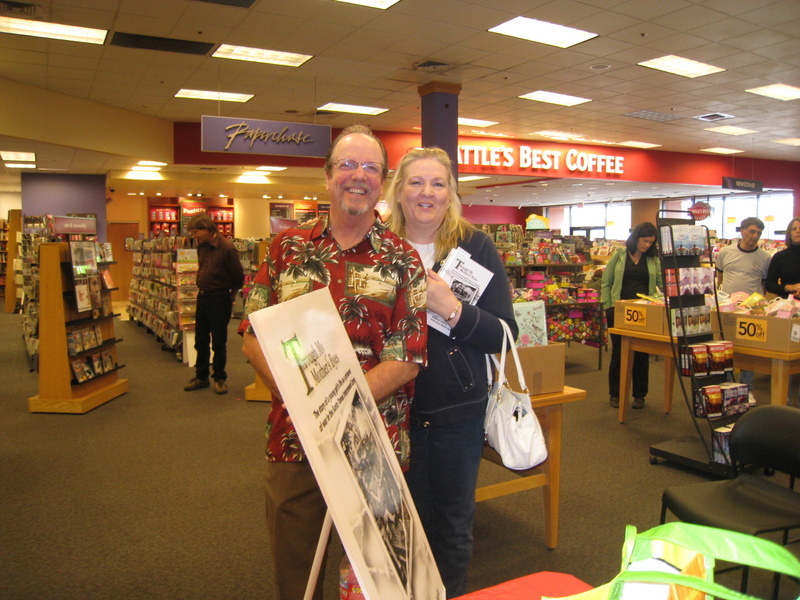 On Saturday May 2, 2009, Michael and Jean-Marie were invited to their fourth book signing and speaking engagement at Borders bookstore in Santa Rosa, CA. Michael and Jean-Marie at their table. 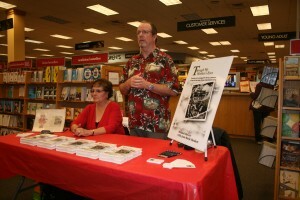 Michael tells the story of how he came to write the book. 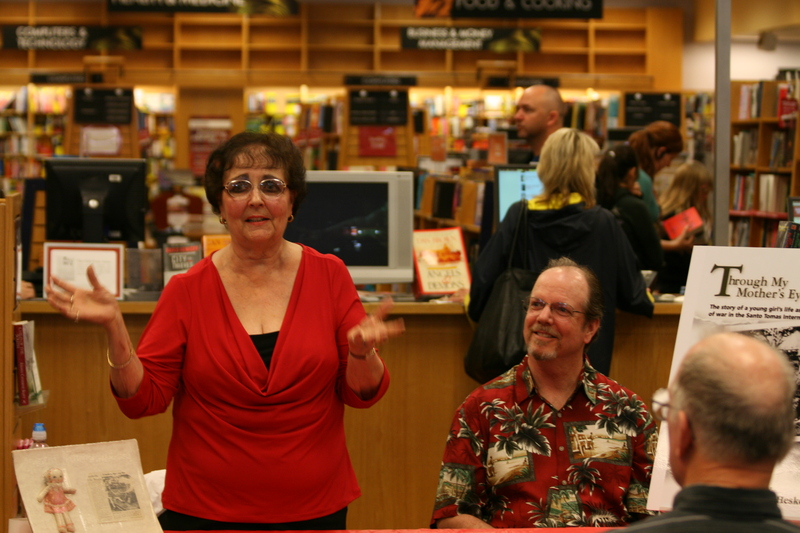 Jean-Marie shares her story with the audience. Michael and Jean-Marie signing books and meeting with the audience. Michael and his screenwriting mentor, Anne Jordan. Anne teaches screenwriting at Santa Rosa Junior College, College of Marin, and Sonoma State University, and has been a professional writer since 1994. 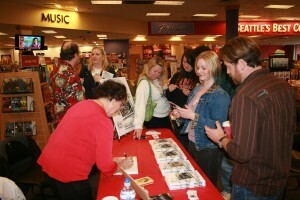 She is also a script evaluator for Blue Cat and the Scriptwriters Network in Los Angeles.